Founded in 1937, J. N. Bartfield Galleries celebrates our 76th year in business. Bartfield Galleries is the oldest gallery in the nation that specializes in artworks by the masters of the American West. We have a long and storied history of providing assistance to important private and public collections, helping to secure key artworks. Bartfield Galleries continues to pride itself on its expertise in the field. 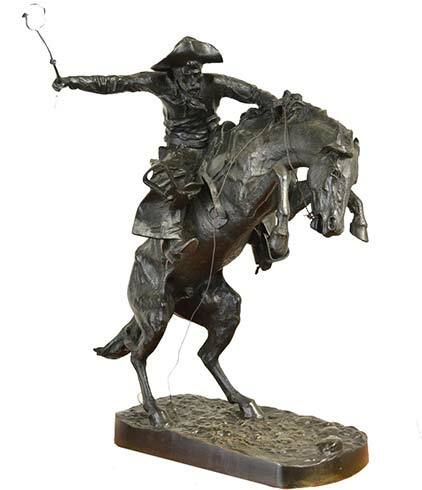 We are always seeking to acquire major Western, sporting and wildlife paintings and bronzes for individual clients and institutions. We feature works by early Western artists like George Catlin, Karl Bodmer, Albert Bierstadt and Alfred Jacob Miller as well as Western masters like Frederic Remington, Charles M. Russell, W. R. Leigh, Frank Tenney Johnson and Maynard Dixon. We have particular interest in the Taos Founders, including E. L. Blumenschein, Walter Ufer and Victor Higgins. We also have a long and successful record of selling works by fine sporting and wildlife artists such as Carl Rungius and Ogden Pleissner. In addition to these, Bartfield's also deals in classic American paintings from Thomas Cole to Thomas Hart Benton and Norman Rockwell to Rockwell Kent. To purchase, sell and consign artworks, visit J. N. Bartfield Galleries, located on the 5th floor of 60 West 55th Street, New York, New York 10019, or call us at 212.245.8890. Our hours are Monday through Friday, 10 am – 5 pm.